The roles will be based at its new offices in the Titanic Quarter and attract average salaries in the region of £25,000, which works out at around £3.6m a year. Around 10 jobs are already in place at the Old Channel Road HQ, which opened last month. Fieldfisher employ just over 1,000 people in 22 offices around the world. Yesterday’s announcement follows the company’s merger with Holywood firm Donaldson Legal Consulting last November. Fieldfisher is the latest in a line of major legal firms to set up here. Invest NI, which is providing £630,000 to support the expansion, said the influx of global legal firms had created around 1,300 jobs in Northern Ireland since 2011. 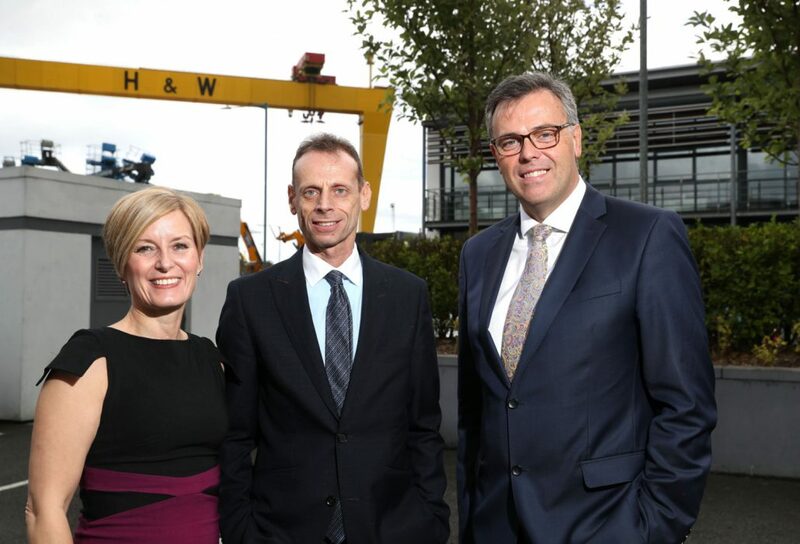 Firms including Allen and Overy, Herbert Smith Freehills, Axiom and Baker McKenzie have all expanded into Belfast in recent years. Last month Baker McKenzie announced plans to expand its Belfast office, creating 150 posts. Invest NI chief executive Alastair Hamilton said the agency had been actively targeting legal firms for the past seven years. He said the pool of 600 legal graduates coming out of our universities every year remained a massive incentive. “Historically, the graduates have left here and gone elsewhere and we want to provide an opportunity for some of those legal graduates to find employment with blue chips firms here in Northern Ireland,” he said. Fieldfisher managing partner Michael Chissick said the size of the legal graduate talent pool and the presence of other UK top 25 firms in Belfast were major factors in encouraging the firm’s move. “The strong partnership between academia and industry was another attraction to investing here and ensures we will be able to work with colleges and universities to develop a future pipeline of qualified graduates,” he added. Ms Donaldson, who played the key role in bringing Fieldfisher here, said her own firm had reached a time where it needed to link up with a larger company to grow. “We were at a point where I couldn’t do much more by myself and knew I needed a partner to take it to the next level,” she explained. She said while Fieldfisher employs people who have worked as solicitors and barristers, the new roles offer legal graduates an alternative career pathway away from the highly competitive The Institute of Professional Legal Studies at Queen’s University in Belfast. “It’s an alternative career path for people, not every type of law requires that you need to qualify as a solicitor,” she said. “The legal services path exposes you to different areas and gives you a career.